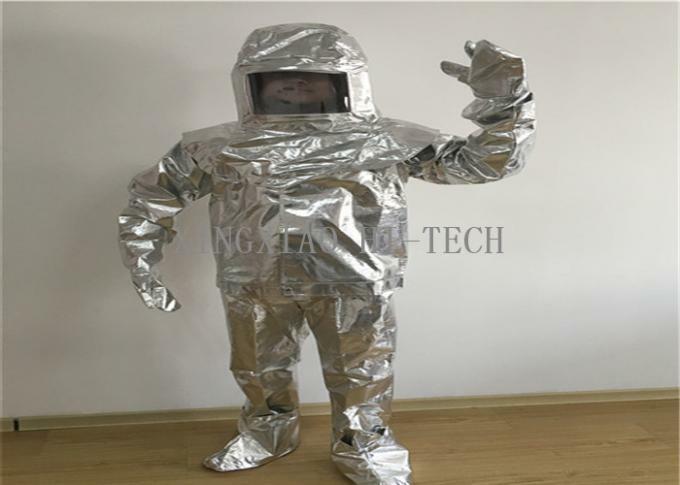 a)Aluminized fabrics and comfortable layer,ect. Advanced fireproof, radiant heat resistant, wearable and folded. c)Made by jacket, pants,face shield,mitten, and shoes covers. One hour in the situation of 300℃, 30 mins in the situation of 500℃, 2 mins in the situation of 800℃ and 1.75m to the fire, putting out a fire in the situation of 1000℃in short time. Water proof: static hydraulic pressure ≥50KPa. Hard enclosure high temperature protection: no changed 5 mins, 260℃. Wuxi Xingxiao Hi-tech Material Co., Ltd is located in Wuxi which is by beautiful Taihu lake, it is the famous tourist site and one of Chinese 15 economic centers. It is only 120 km away far from Shanghai while 180 km from Nanjing, so its transport is very convenient. 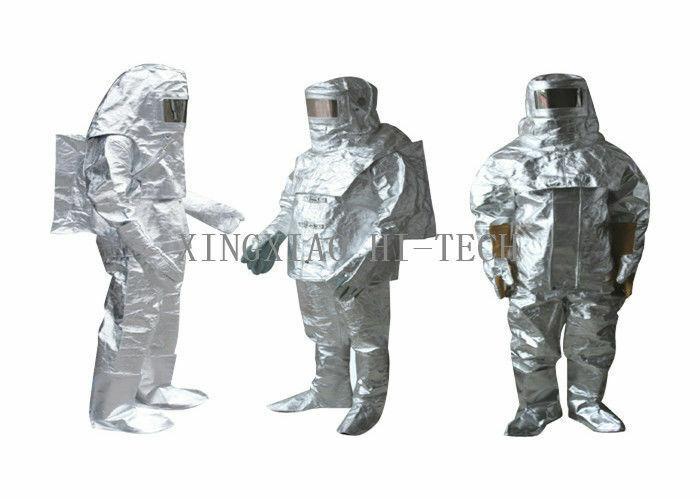 Our company, founded in 2010,is one of manufacturers in China engaged in producing fiberglass coating fabric, fireproof fabric, fireproof thread & rope, fireproof sleeve, fireproof blanket & suit, and detachable non-metallic connector and cover. Our company adopts advanced equipment and produces various types of product which greatly benefit our developing high-technology and high-quality product. Our products are popular in Chinese market and many of them are exported to U. S., European countries, Southeast Asian countries and so on. A: (1) We are one of the best suppliers of fiberglass in China. (2) There are Various types of fiberglass products for you to choose: fiberglass fabric, fiberglass yarn, fiberglass mat, etc. (3) We ensure the delivery time, high quality, and the best after-sale service for you. (4) Any problems, we will do our best to solve it. A: We only provide the products that have been approved by many customers. If the few quality issue happened, we will do our best to solve it and customer’s benefits can be guaranteed.